HTTPS involves the use of an SSL certificate - "SSL" stands for secure sockets layer -which creates a secure encrypted connection between our servers and your devices. HTTPS helps us guarantee confidentiality, authenticity, and integrity. Step 4: Request Link "Click here to request an HTTPS certificate"
Way to go keeping your data safe and secure. We love to help our customers reach their goals. 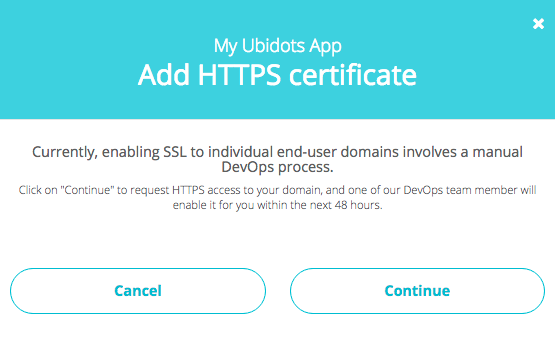 Let us know if you have any security questions or if Ubidots can help you reach your next IoT initiative goals. 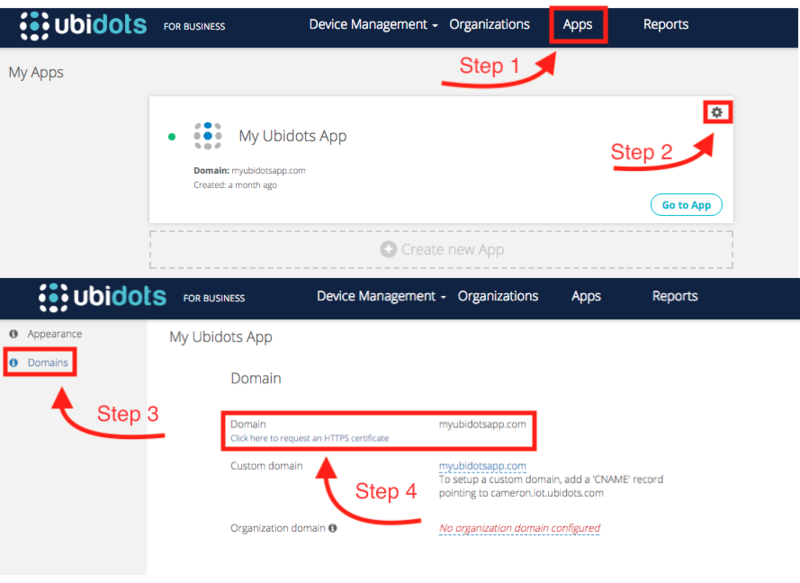 Click here to learn more ways your can deploy your IoT solutions with the baked in tools of Ubidots' application enablement platform.